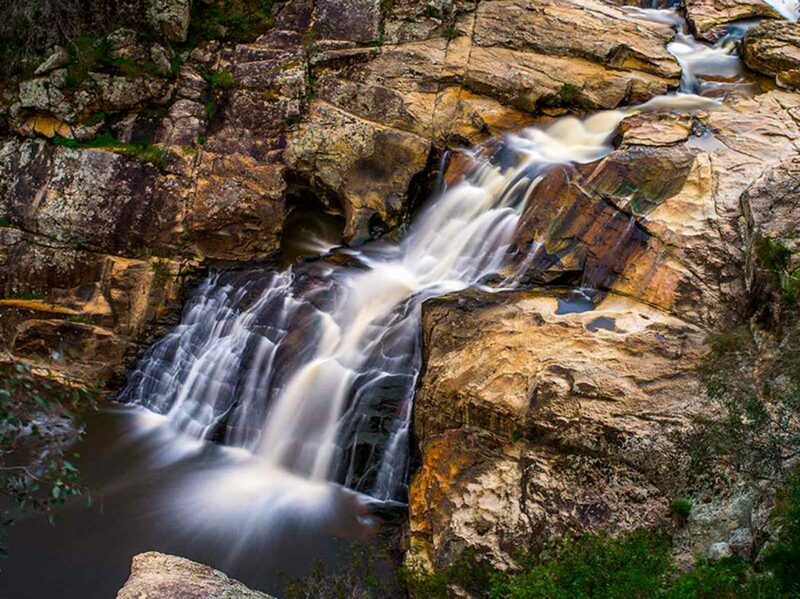 Located in the Chiltern-Mt Pilot National Park, Woolshed Falls are a popular destination for nature lovers and history buffs. 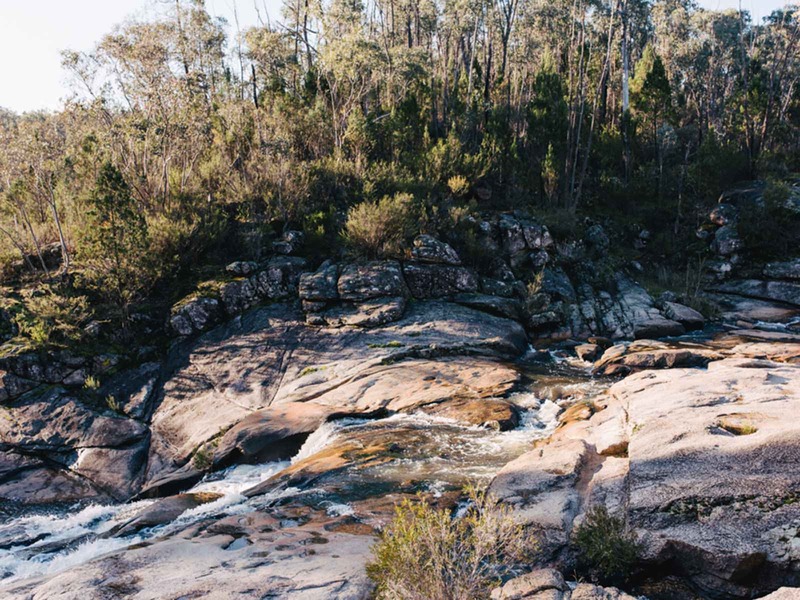 The area was once the centre of one of the richest goldfield’s in Australia, where up to 8,000 prospectors camped along the banks of Spring Creek, in search of their fortune. 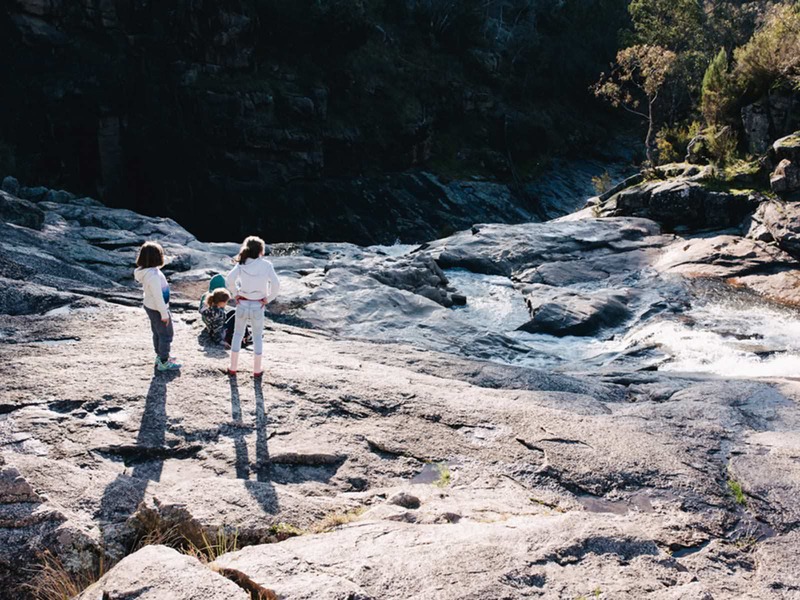 The falls are a ten minute drive north from Beechworth, where you can view the cascading falls, enjoy a leisurely picnic or take a self-guided walk around the alluvial gold workings. An observation deck provides views to falls and the valley below, which is particularly spectacular after heavy rainfalls. 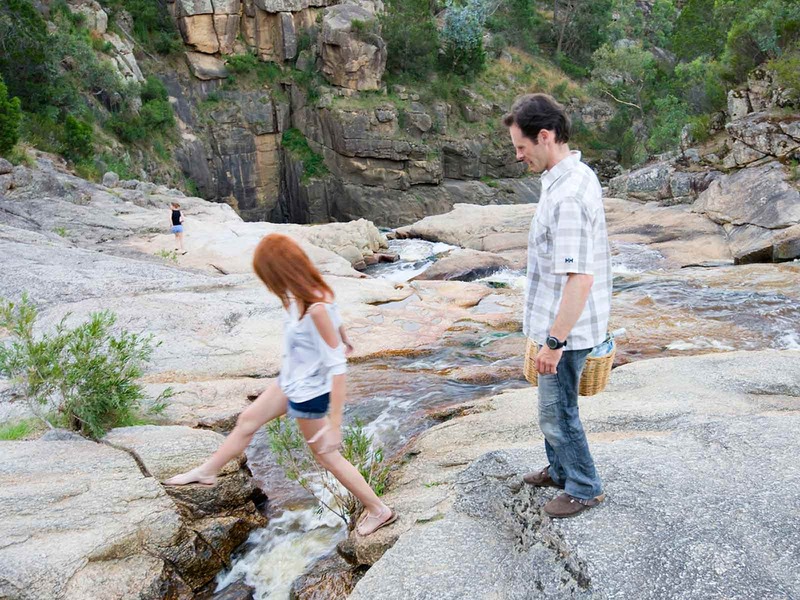 Please be very careful on the rocks as they are slippery and kids should not be left unsupervised in this area. Suitable, sturdy footwear is advised.